Okay guys! 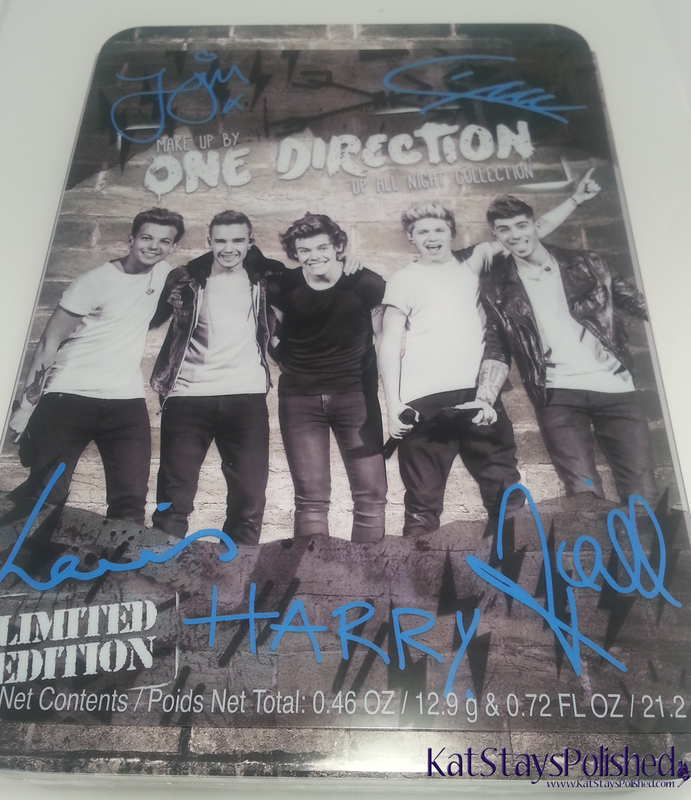 Are you a One Direction fan? Do you love makeup? 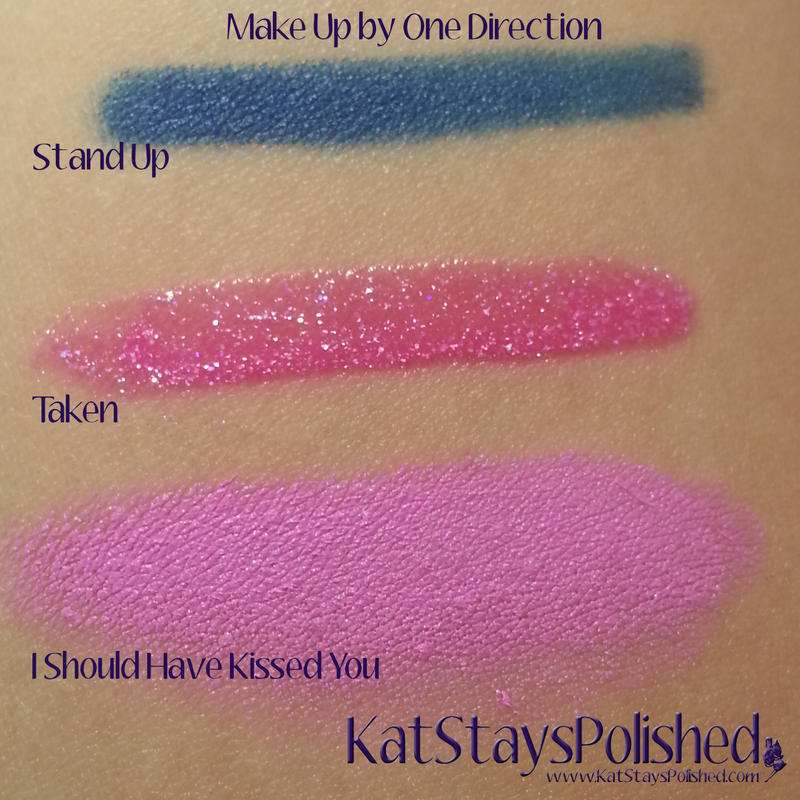 Well, One Direction now has 3 different makeup sets that you can collect! 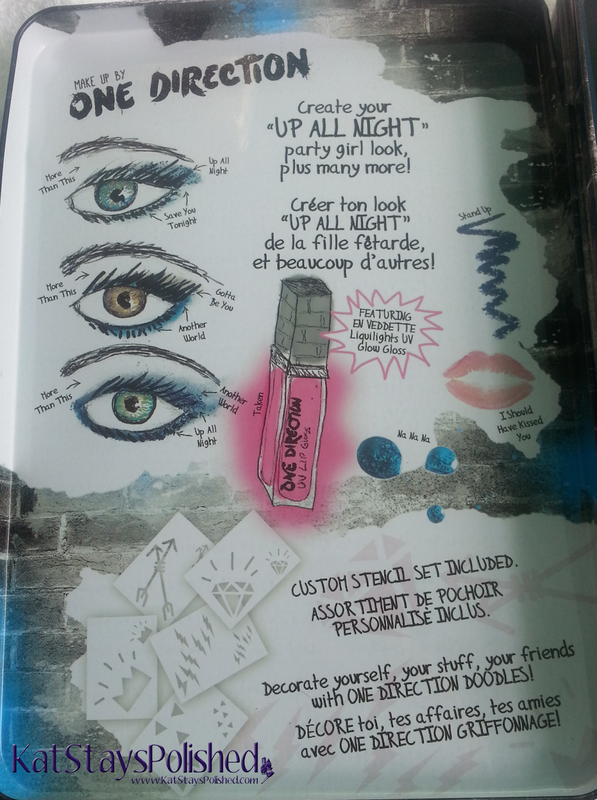 The one i am going to be showing you today is called the Up All Night Kit. 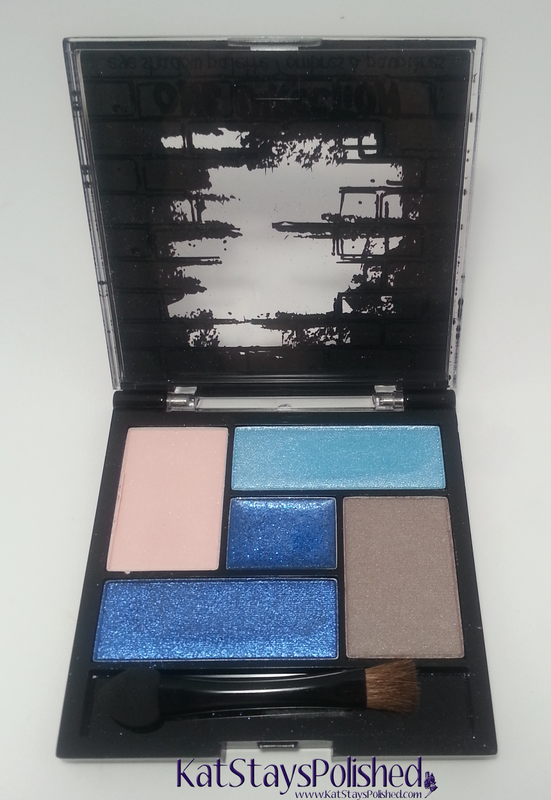 Lots of blue and bright pinks so get ready! I am pleasantly surprised at how pigmented these came out to be. The turqouise shade is probably my favorite. 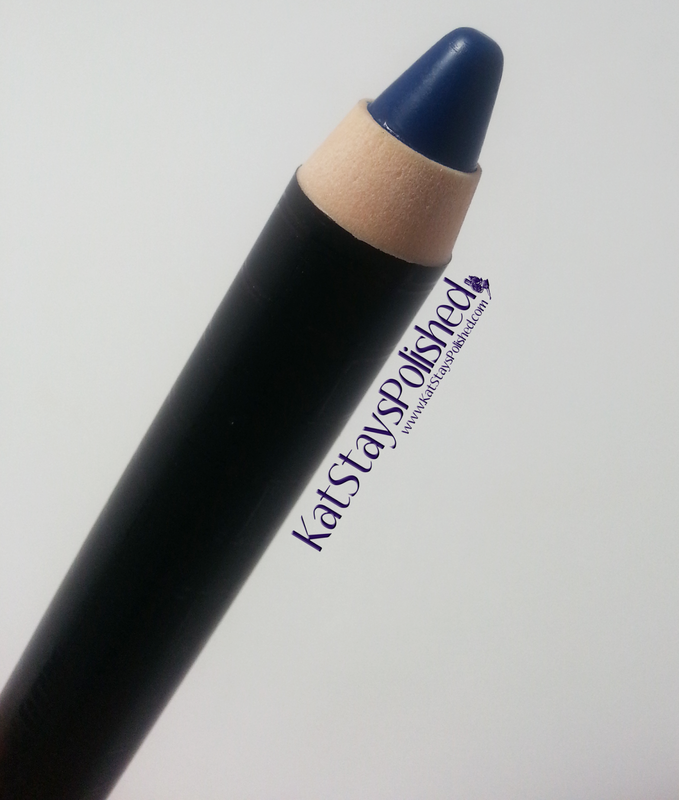 Stand Up is a dark denim eye and body crayon. You can use this with the stencils in the kit to creat cool looks on your face and body. 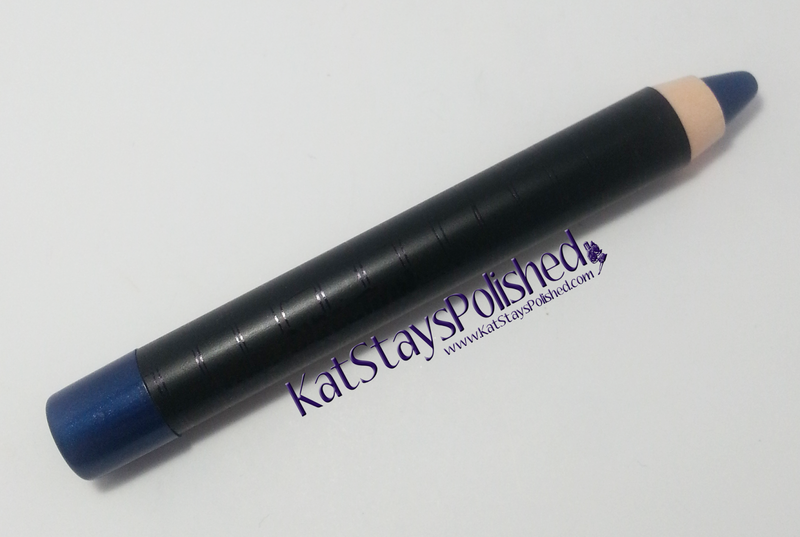 The formula was great - very smooth and even color. 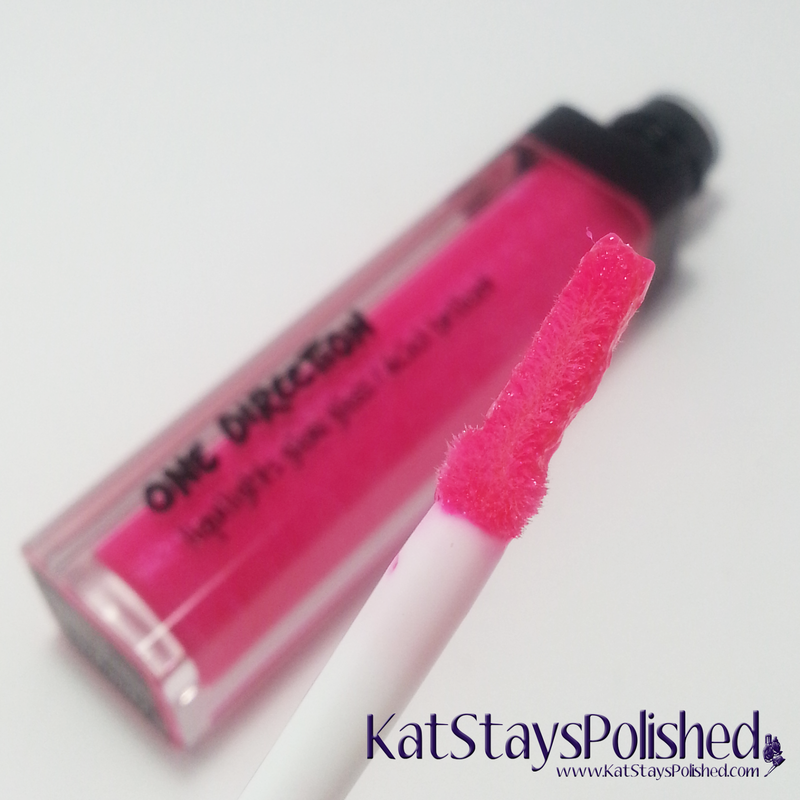 Taken is a pink glitter lip gloss that glows neon orange under UV light. I didn't have a light available to show you but if you happen to get this kit, take a pic and show me! 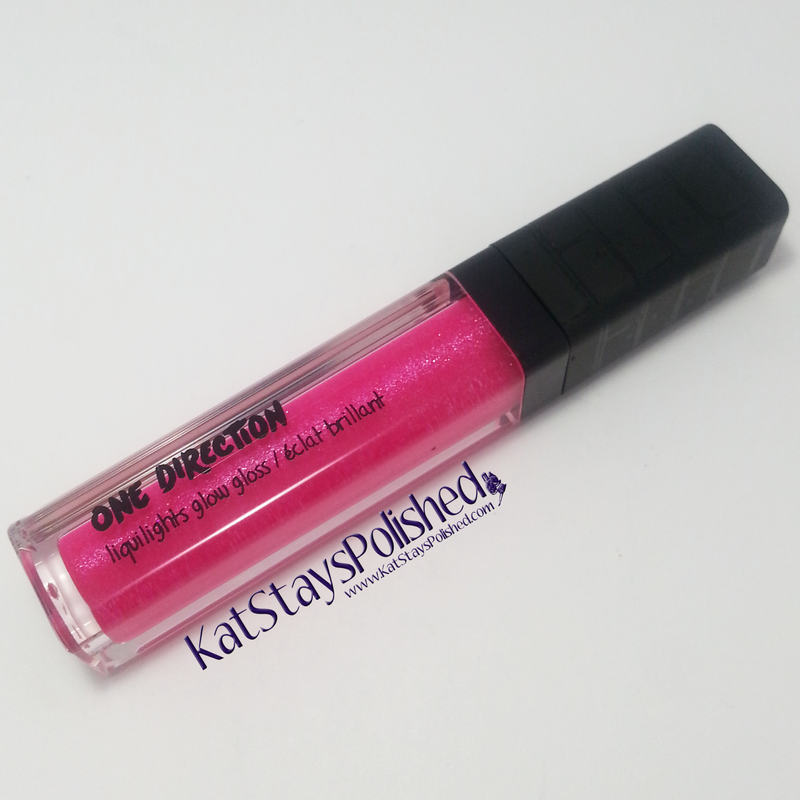 I love it on its own - so much shimmer! 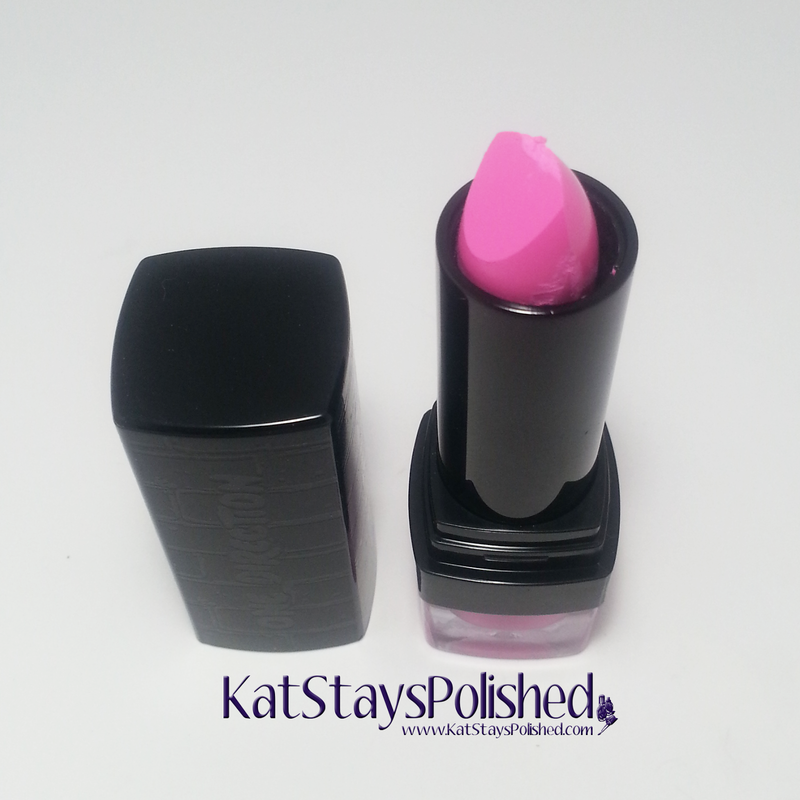 I Should Have Kissed You is a seriously creamy bubblegum pink shade. My arm swatch is a few swipes of the lipstick - bascially the same number of strokes that I would have used on my lips. 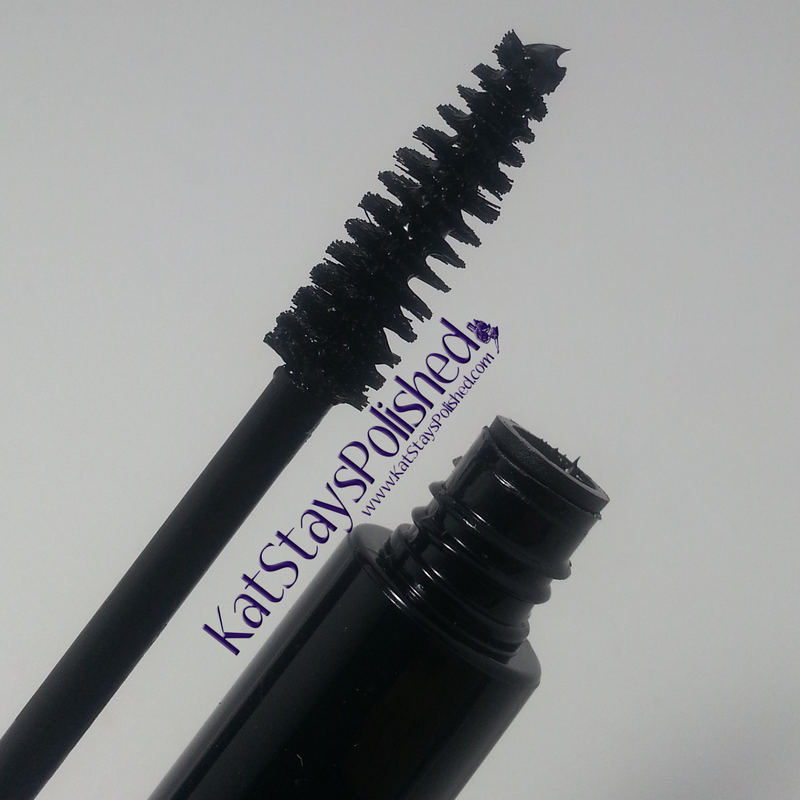 Little Black Dress is a volumizing mascara. My lashes are so finicky. I would have loved this in a waterproof formula. Probably my favorite part of the kit is this nail polish called Na Na Na. I did have to use 3 coats because of how sheer it is but once it gets to be opaque, it's gorgeous! Do you think you'll get this set? Let me know what you think! 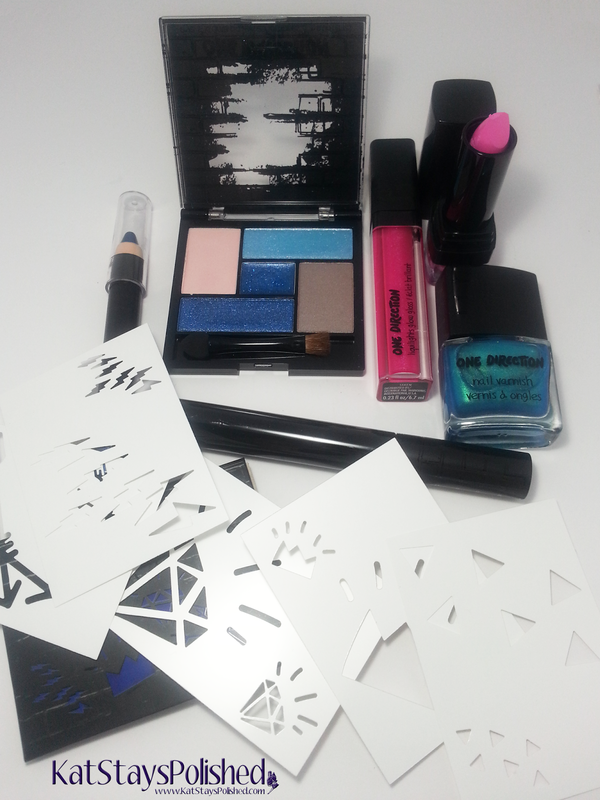 Visit the Make Up by One Direction Facebook page to keep up with the latest and to check out the other 2 kits! *Powered by Brandbacker. Products sent for an honest review. All opinions are 100% my own.